The European Human Rights Advocacy Centre (EHRAC), based at Middlesex University, has joined other leading NGOs in penning an open letter to the Secretary-General of the Council of Europe (CoE) asking him to speak out against a recent human rights crackdown in Azerbaijan. Along with representatives of Amnesty International, Human Rights Watch and others, EHRAC Director Professor Philip Leach is calling for Secretary General Thorbjørn Jagland to "publicly condemn" the "arbitrary imprisonment" of several leading Azerbaijani human rights figures this month, including renowned lawyer Intigam Aliyev. The letter goes on to urge the Committee of Ministers, which comprises the Ministers for Foreign Affairs of the 47 member states of the CoE, to debate the situation and pass a resolution compelling the government to end its "harassment" of human rights defenders and journalists in the South Caucasus country. EHRAC and its allies also want the Parliamentary Assembly and other Council of Europe Member States to put pressure on the Azerbaijani government to release those incarcerated on what the letter labels "politically motivated charges". Ironically, Azerbaijan is currently chairing the Committee of Ministers and is due to host a Council of Europe Exchange Event on religious tolerance in the capital Baku next week. "This systematic targeting is a flagrant violation of the guarantees in the European Convention on Human Rights, and the fact that it is occurring during Azerbaijan's chairmanship of the Committee of Ministers is a perversion of the Council of Europe's values," the letter states. 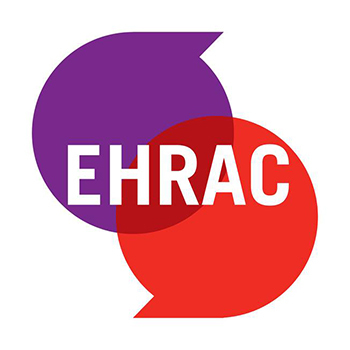 EHRAC is no stranger to standing up to national governments in the Caucasus region, having taken more than 300 cases to the European Court of Human Rights against Russia, Georgia, Azerbaijan, Armenia and Ukraine since it was founded in 2003. Most recently, EHRAC won two human rights abuse cases against Russia at the European Court of Human Rights in Strasbourg.